That Time(s) we went to VEGAS, Baby! June of 2009, We made our way to vegas for 5 nights. 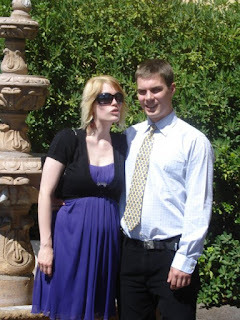 My brother got married. We stayed at the MGM Grand which was a hotel we had heard a lot about over the years. It was a little run down, but for the most part it was a nice hotel. Here we are on stage inside a box at the Rio Casino. We are about to watch a magic show by Penn and Teller. It was very entertaining. They definitely put Criss Angel to shame. 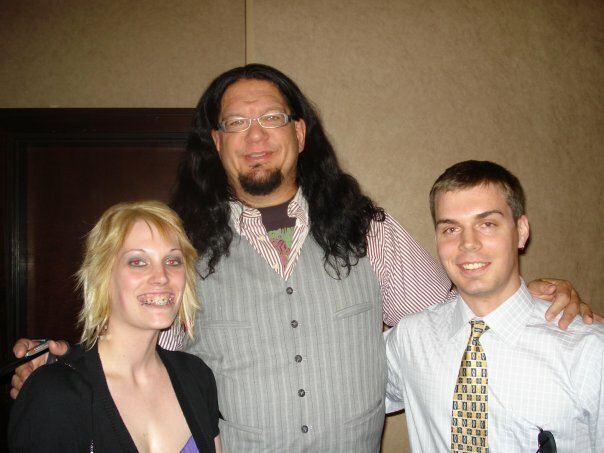 After the show we got to meet Penn and Teller. They do this after all their shows. As it turns out Teller isn't short he's just about average height at 5'9" and Penn is 6'6". He's a pretty tall dude. It was pretty fun to meet them after the show. 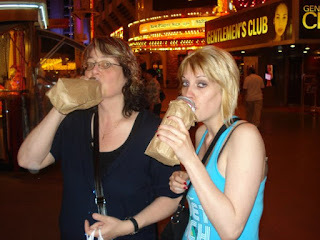 We spent some time on fremont street as well. Micheal Jackson had died on one of the days we were there and they had a huge tribute to him on the screens in the roof of freemont street. We made our way there to watch the tribute. 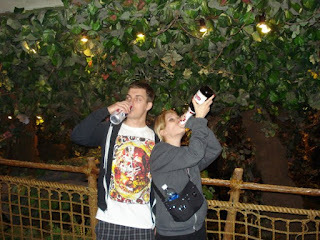 Oh, and you can also drink anywhere (Within reason) in Vegas. 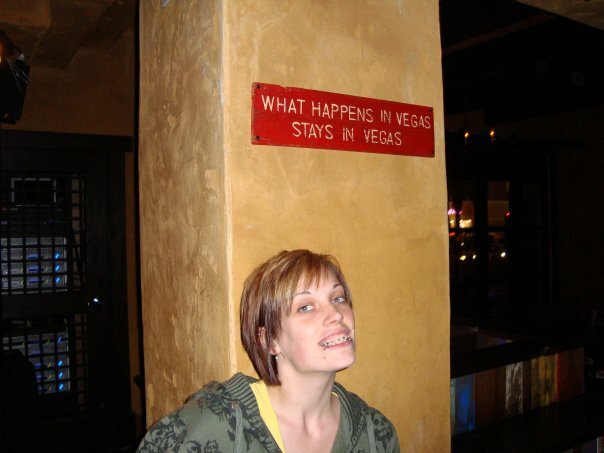 September of 2008, after a cruise around Mexico with mom, I went to vegas for the first time for 3 nights. We watched Criss Angel Cirque du Soleil, it was probably the WORST show I have ever seen. lol. Definitely a waste of money. Here is a trailer of the production. The Cirque de Soleil part was fabulous, the Criss Angel part needed to go! We stayed at the Monte Carlo this time, and it was a pretty nice hotel. It was heavily under construction so we didn't actually make it to the strip. With the way you had to come out of the hotel, you ended up all turned around and on a back street. 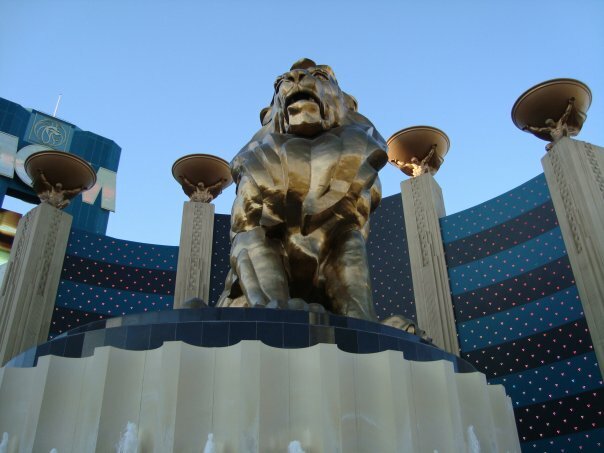 We did manage to make our way to NY NY, Luxor, and Excalibur. We did some shopping and loved the little $10 boutique shops. Thanks for reading, we hope you are totally stoked for Veganuary in Las Vegas. Las Vegas is Las Vegan, BABY! AND we will be there for the last weekend.